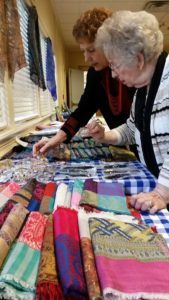 St. Christopher’s is hosting a Christmas Bazaar on Saturday, December 1 from 11 am to 2 pm in the Family Life Center, which is the building closest to the parking lot. Items on sale will include beautiful Indian silk and pure cotton clothing, jewelry and Indian food. Items on sale go fast, so come early and see the best items! St. Christopher’s will serve hot masala chai, cold drinks, cakes and biscuits. See you all on December 1st! Hopewallah’s mission is focused on responding to the needs of people in and around Hyderabad who have contracted leprosy. Leprosy attacks nerve endings, destroying the ability to feel pain and injury, making patients susceptible to ulcers and infections. Over time and without proper treatment, this can lead to the loss of fingers, hands, toes and feet. It can also cause blindness, facial disfigurement and “clawing” of hands and feet. Read more at Hopewallah’s website. People have long feared leprosy as being highly contagious, although in reality, 95% of humans are naturally immune. Health workers call it the world’s “least contagious communicable disease.” It is easily treated with highly effective drugs available for free under collaboration between World Health Organization (WHO) and a pharmaceutical company. 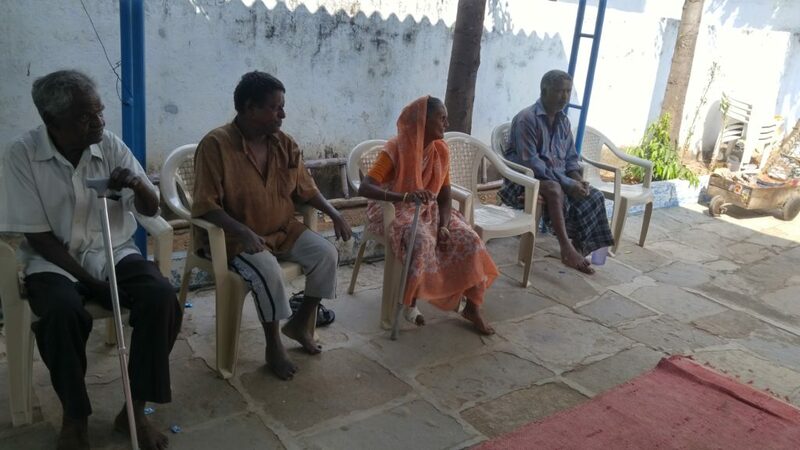 Hopewallah provides medication and treatment to people with leprosy in Hyderabad. The stigma remains, however, causing those who have been cured and are no longer contagious to be shunned by society and forced to live as outcasts, often in great poverty. The Bishop Prabhudass Hyderabad Leprosy Mission cares for a significant number of them. In India 130,000 people are diagnosed with leprosy every year – more than every other country put together. Surprisingly, India announced it had eliminated leprosy in 2005. It was able to do so because countries can announce ‘elimination’ when there is less than one case for every 10,000 people, according to World Health Organization (WHO) guidelines. But this has meant that government funding previously dedicated to leprosy has been put back into the general health system. Donations to charities working with those suffering from leprosy have fallen significantly, making the work of charities such as the Bishop Prabhudass Hyderabad Leprosy Mission more important than ever.